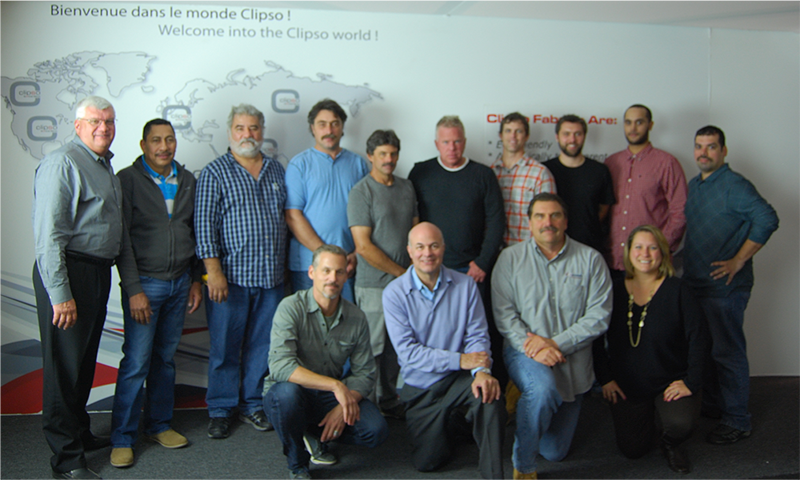 Why should you become a CLIPSO® Certified Installer? Are you a building professional or craftsman and would like to grow your business? Are you looking for quality, cutting-edge products to add to your portfolio? Are you looking to increase your business’ exposure and your bottom line? May 7-8, 2019. Please Sign Up Below. Then CLIPSO is for you! We are always looking for reliable partners who are excited about installing our innovative products to increase their revenue in this exponentially-growing niche market. Boost profits by joining the fastest growing trend in ceiling and wall finishes. Get in on this growing segment of the industry by getting certified! Ongoing sales and marketing support. To apply, please fill out the form below. Fields marked with an asterisk * are required fields. You should receive a response within 48 hours. Basic installation techniques including (but not limited to) angles, curves, mid-span seams, integration of lighting and fixtures, etc. Advanced installation techniques including (but not limited to) shapes, inlays, convex/concave, columns, fiber optics, etc. Frame and lightbox assembly including hanging techniques, reinforcements and integration of lighting. Training on design, acoustics, versatility, illumination and print capabilities. A specially-designed room for installers to master installation techniques and receive tips and advice. Includes: Training course, practical installation exercises, course materials, sales and marketing materials and the necessary tools to begin installing CLIPSO. Lunch will also be provided. Click here to receive a sign-up sheet or for more information. To register, please fill out the form below. Fields marked with an asterisk * are required fields. You should receive a response within 48 hours.